In New York, Senator Chuck Schumer has asked for Federal grants and loans to help New York grape growers who have sustained “untold millions” of damage, according to a report in the Rochester Democrat. 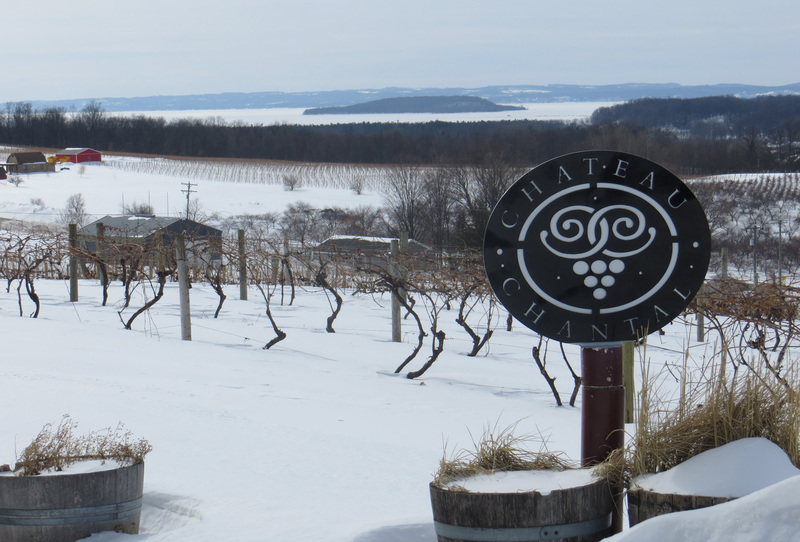 Based on a similar 2004 freeze, Senator Schumer said wine production losses in New York will exceed $42 this year. 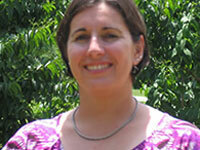 What does this news from New York mean for Midwest wine? First, a normally reliable and convenient source of grapes and juice for Midwestern wineries will be curtailed substantially during 2014. In terms of help for grape growers, the Midwest is unlikely to see the types of recovery programs that Senator Schumer is seeking. 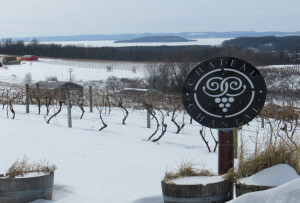 The Tree Assistance Program was funded in the recently approved U.S. Farm Bill; but areas, like New York, that have a substantial wine and grape industry, are more likely than the Midwest to get help from Washington D.C.
Chateau Chantal’s Old Mission Peninsula vineyard lies buried under several feet of late February snow. In the background, the West Arm of Grand Traverse Bay is completely frozen. The USDA is still working through a backlog of tree, vine and bush replacement claims resulting from delays in passing the most recent Farm Bill. This $1 trillion, 1,000 page piece of legislation was just signed on February 7th and state sources contacted by Midwest Wine Press said they did not yet know if funds will be available for local grape growers. The best course of action for grape growers who have been affected by freeze damage is to contact their local Farm Service Agency, a USDA source in Illinois told Midwest Wine Press. From Decanter, comes more news of vine damage in the Canadian vineyards around Lake Erie and Ontario. Actually, some of the freeze damage news is positive considering the severity of the winter; only 34% bud loss was reported for Pinot Noir in the Niagara Peninsula, according to Brock University. However, many grape vines are buried during the winter in Canada, a practice that is less common in the U.S.
Also, Canadian growers are required by the government to plant vinifera grapes. It will be interesting to see if this arcane Canadian policy is another victim of the Massacre of 2014. The article makes it sound like New York is getting special treatment from the USDA, and that is not the case. The Tree Assistance Program is a federal program, and is available to growers throughout the country, not just in New York and other “large” grape growing states. Growers in the Midwest who have suffered significant winter damage should be in touch with their elected officials and local USDA offices to determine if they qualify for that assistance. The price tag for Wall Street bailouts has been estimated at $700 billion. This may not directly relate to grapes, but out here in the hinterlands, we are aware (jealous?) of the effectiveness of NY lobbying.